Believe in the fantasy. 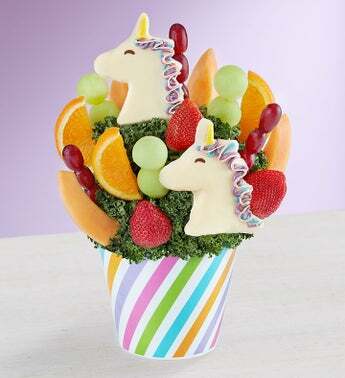 Our unicorn arrangement is almost too delicious to be true! 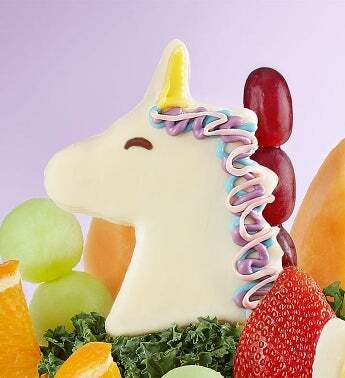 Featuring unicorn-shaped pineapple slices, dipped & decorated with purple & pink manes and yellow chocolaty horns, surrounded by plump, juicy strawberries, fresh melon and more. Let this truly unique arrangement work its rainbow of magic on your next gathering.